The Plot: Conman Irving Rosenfeld (Christian Bale) and his cohort/lover Sydney Prosser (Amy Adams) are at the top of their game running a very successful crime organization. Things get a wee bit complicated when FBI agent Richie DiMasso (Bradley Cooper) busts up their operation, and rather than simply bringing them to justice, forces them to help him con possibly corrupt Mayor Carmine Polito (Jeremy Renner) into accepting a bribe. With everyone, including his wife Rosalyn (Jennifer Lawrence) and except Polito (who’s actually a really nice guy), trying to screw him over, Irving must plan an ingenious con to keep Sydney and himself out of prison and un-killed-by-gangsters, protect his young adopted son, and hopefully not completely ruin Polito’s career. It’s a really a really tough life, constantly having to hang out with beautiful people. You may have noticed from the poster that this is not a “from the director of The Fighter and Silver Linings Playbook” or a “David O. Russell presents.” No, it is “David O. Russell film, directed by David O. Russell, written by David O. Russell.” As previously evidenced, David O. Russell is kind of a jerk. Last year’s Silver Linings Playbook is enjoyable enough, but his appropriation of mental illness to propel his Oscar bid was kind of despicable. 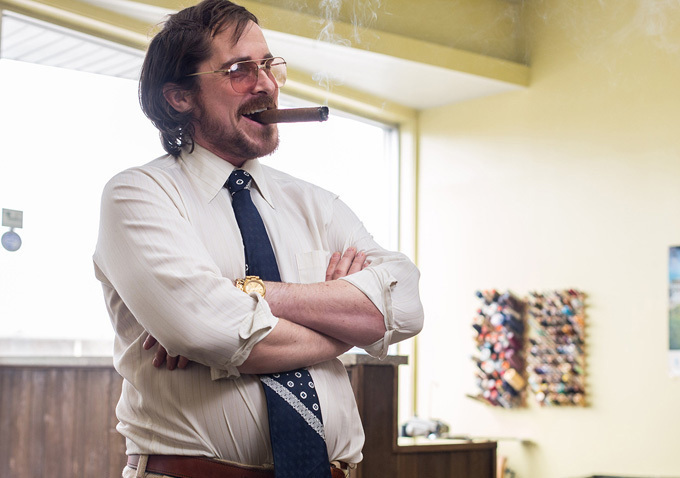 So, when I saw the initial ads and trailers for American Hustle I thought, “Oh, the jerk is going to make a movie about pathetic jerks being jerks to each other.” The ads really emphasize the premise that everyone is a sleazy liar attempting to exploit other sleazy liars for their own personal gain. 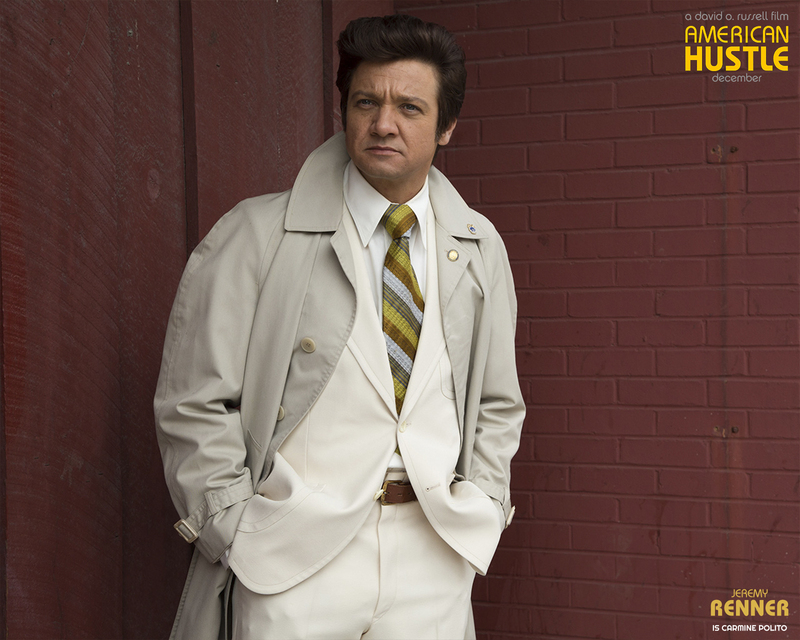 Remarkably, though, that’s not how American Hustle turned out. I gotta give props to “written by David O. Russell,” because despite creating a cast of characters who do lie, cheat, steal, swindle, and, yes, hustle, he makes them all real and interesting. Actually, the idea of being “real” with people is sort of important to this movie. The characters all lie so much that when they’re actually honest with someone it comes as a sign of true sincerity. And they are all likable, except Bradley Cooper, who is just a scumbag. Irving is a bit sad with his position in life. He cheats people, but justifies it by focusing on people who are already criminals to begin with. He loves his son very much, and is unfaithful to his wife not because he’s a cruel, dishonest human being, but because she’s a bit psycho. She’s a bit psycho, though, because he never really gave her the time of day anyway. Sydney hit rock bottom recently and is willing to do pretty much anything to improve her status. Polito will do whatever it takes to heal the economy of the city he loves, even if it means breaking the law. Even DiMasso has genuine motives; he’s looking to expose some corrupt politicians in part because he wants to get a promotion, but also because he wants to try to bring down the mob. The tear signifies depth and character development. So, from a starting point of relatable, well-defined characters, American Hustle develops into an excellently-paced, riveting conman comedy. Con-edy? No, never mind. I’m sorry. Here’s where the film really surprises, though: it’s hilarious. I was not prepared for that. Maybe that was my failure as an audience member, but, well, remember two paragraphs ago when I said I was expecting a cast of pathetic jerks being cruel to each other? I was also expecting that kind of uncomfortable, obligatory humor. You know when you know something is supposed to be funny so you kind of say it’s a comedy even though you never laughed once and the characters were all sad and made you feel really uncomfortable the whole time? Like in a Woody Allen movie. That’s what I was expecting, but not at all what I got. I laughed continuously throughout most of the film. David O. Russell’s jokes are granted to characters about whom he clearly cares deeply, and the actors deliver the lines with the same adoration. Everyone involved wants to be there and has a really fun time. I guess it’s not so unusual for the actors of a comedy to so outwardly enjoy themselves, nor is it unusual for these actors in particular to give awesome performances, but I think the combination is rare. Bradley Cooper and Jennifer Lawrence, of course, both delivered excellently in last year’s Silver Linings Playbook, garnering an Oscar nomination and a win, respectively. While the quality of those performances is undeniable, I’m not sure how much fun either of them had. Even though that was a comedy, it felt like everyone took their parts very seriously. Here, though, they produce the same quality, but it’s way more pleasurable to watch. Amy Adams… hm, my default is to dislike Amy Adams. Unfortunately, it’s for no reason other than because I think the first movie I saw her in was Julie and Julia and she’s abhorrent in that. Otherwise, I see her in something and I sort of have to begrudgingly remind myself that she is a very good actress. Well, who knows, maybe American Hustle will have cured me of the injury of Julie and Julia. Though, frankly, her hair isn’t really helping her out much. So, the actors and the script really do their bit. 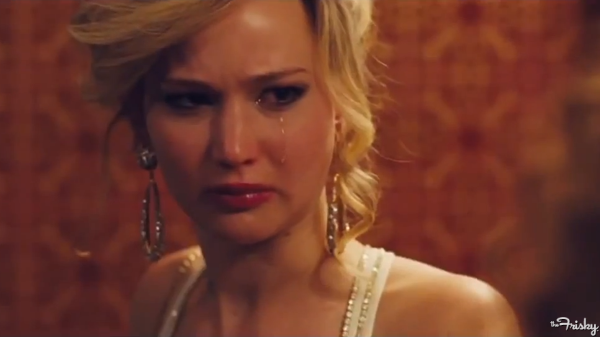 I’ve decided that I don’t like David O. Russell as a director, because he loves close-ups way too much. 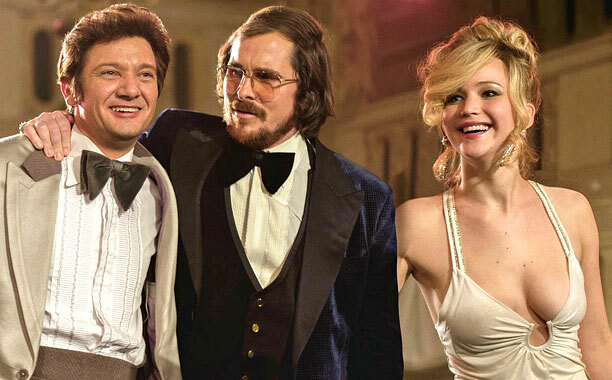 Also, don’t let the Oscar buzz fool you: American Hustle is just a really, really good time at the movies. It’s not just an Oscar movie. The Man himself (Rooster Illusion) noted that it will probably win one award, but not for the thing it most deserves, and that will kind of harm the way it’s remembered. I hope not, but that’s possible. 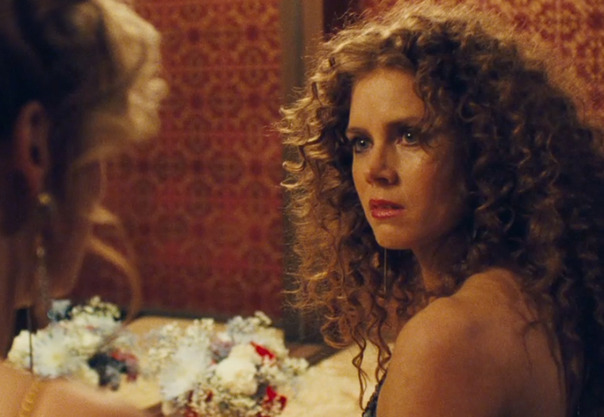 It shouldn’t be remembered as the movie for which Amy Adams finally got her career award; it could be remembered as a strong screenplay; it doesn’t need to be remembered for its editing or costumes or hair (although the hair is memorable). 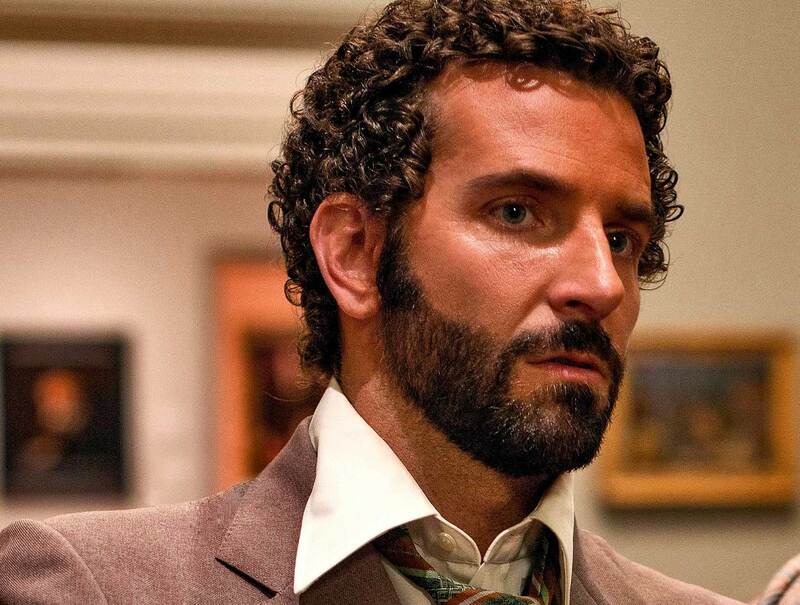 No, American Hustle should be remembered as a fun, clever, uproarious comedy with strong, believable characters, but they don’t give an award for that.